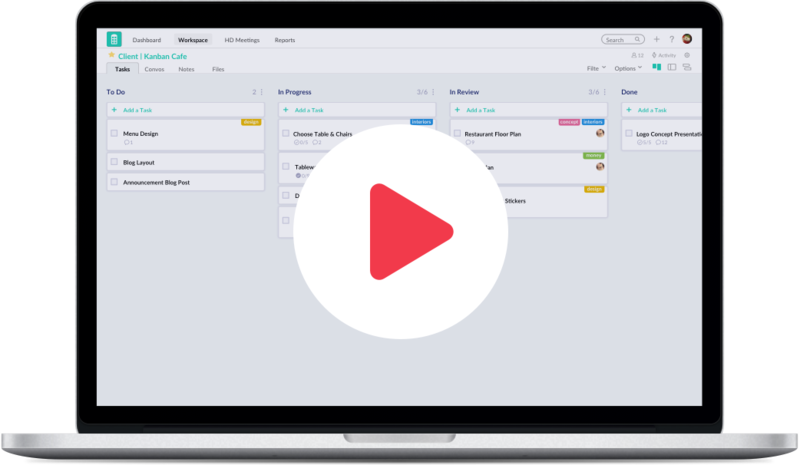 With its intuitive design, projects are easy to plan and track on customizable Kanban boards. 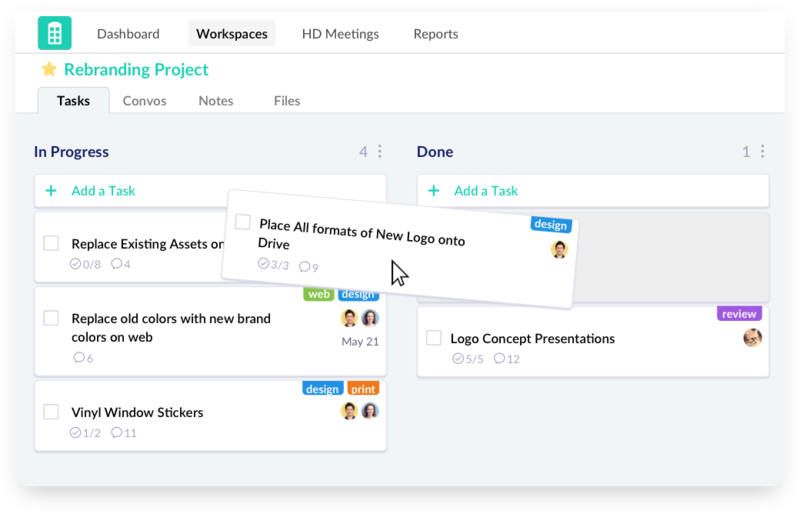 Sort, tag, and organize your tasks for clear communication and better task management. Between emails and meetings, it can be easy to forget about your important work and deadlines. Redbooth helps you manage your tasks, track updates and collaborate easily, and stay focused as a team. 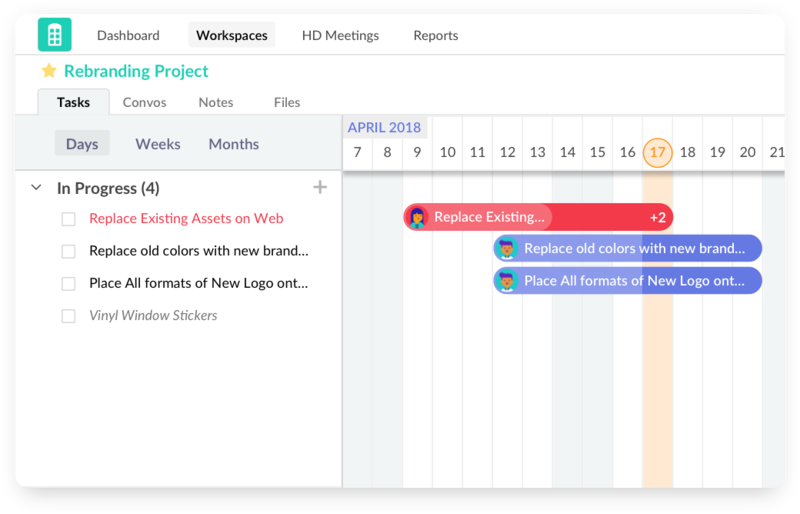 Track projects with beautiful Gantt charts using Redbooth’s Timeline View. 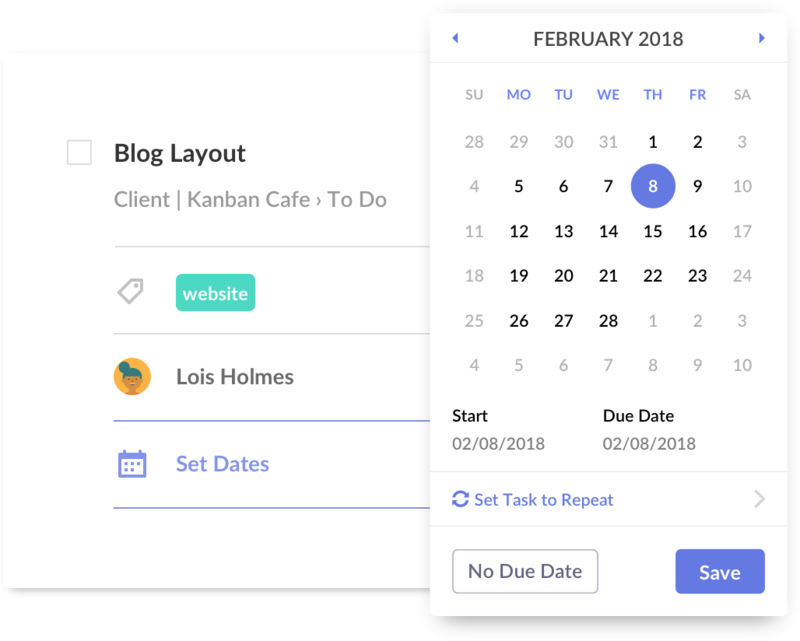 Easily add tasks, drag and drop to change dates, create task dependencies, and set filters to see what matters and manage any potential bottlenecks. 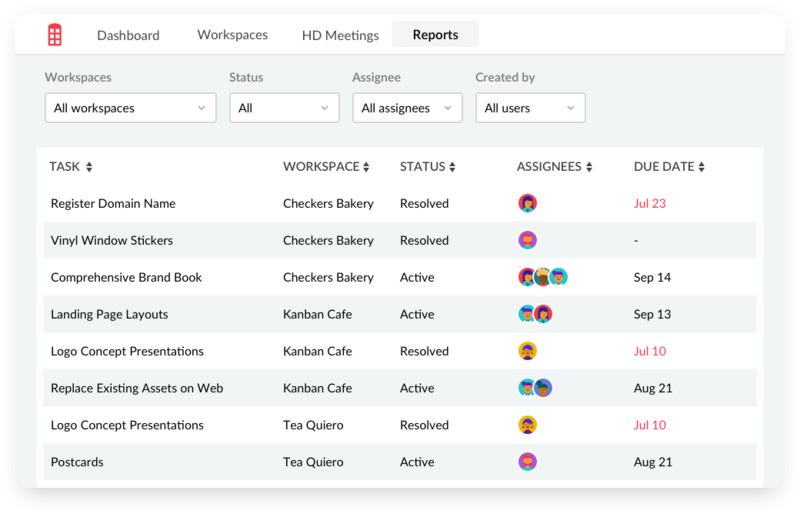 Dive deeper in task status, time spent, and progress planning across users and workspaces with Redbooth reports, overviews, and calendar. 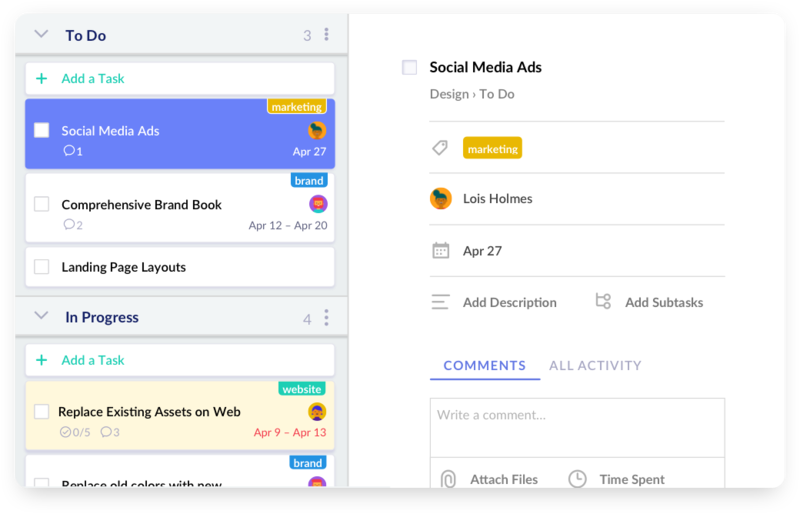 Focus on one specific task, or zoom out to see all projects in one view. Connect instantly with your team with high definition meetings powered by Zoom. 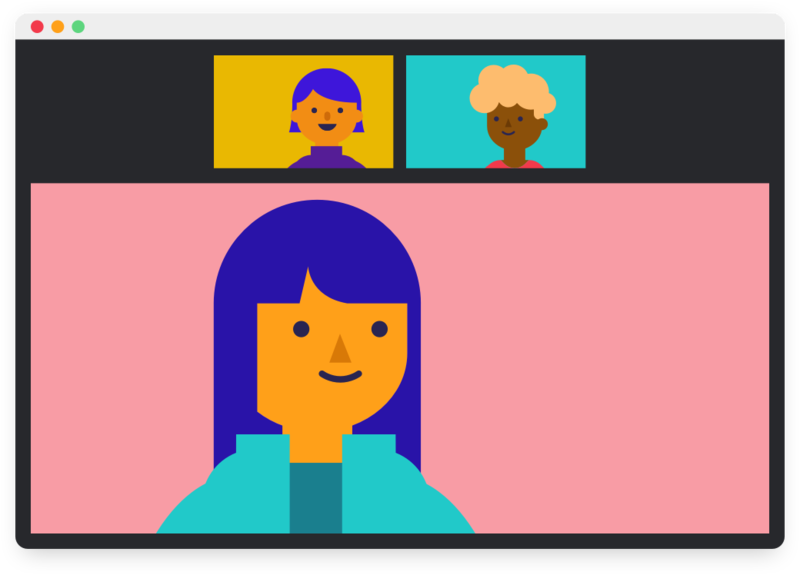 Share presentations, run team meetings, or conduct important conference calls with video meetings right from inside Redbooth.